Kent chief executive Jamie Clifford says they "will not struggle" to find a new head coach to replace Jimmy Adams. 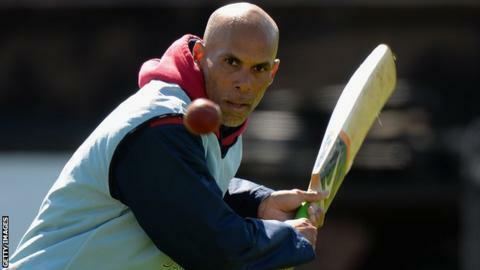 Former West Indies captain Adams, 48, left the Canterbury club this week after spending five years in charge. "The moment the news went out there were a number of people in touch very quickly to express their interest," Clifford told BBC Radio Kent. "I don't think we will lack for a strong candidate. There is a lot of interest already." Kent finished second in Division Two of the County Championship this year, missing out on promotion to Essex, but Clifford believes the club are "an exciting proposition" for prospective coaches. "We underestimate the profile of county cricket across the globe," he said. "It still has a high profile and coaches aspire to come here. "We have not launched a job description or details of the role yet as we need to take stock and understand what we want next. "We were thorough when we appointed Jimmy and I expect the process to be similar this time. "Hopefully by early next year we will be in a position to make an announcement and have someone start." Meanwhile, Clifford is still waiting for a response from the England and Wales Cricket Board after Kent called for arbitration with the governing body and Hampshire over the composition of Division One next year. The south coast county were given a reprieve from relegation after Durham were demoted for financial reasons - but Kent believe they should have been promoted instead. "We've made our point and asked the ECB a few questions," Clifford said. "I can't believe it will take long for them to offer a response. When we have that response we'll see where we go next. "We would have liked to have been consulted before a decision was announced. "I think counties must have a voice on all matters in relation to the running of the game and speak up for what they believe in. Our moves in this regard are consistent with that."